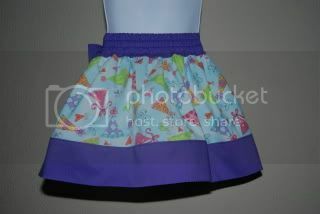 An ADORABLE Skirt! – Everything Your Mama Made & More! This skirt is a self drafted pattern that I been meaning to get around to making but hadn’t had the time! 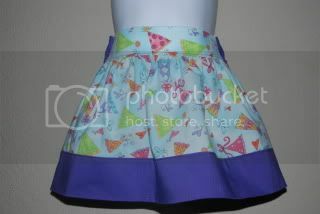 I have found I really like the fit of flat front elastic back bottoms on my kids so I had drafted up a nice basic skirt that I could ad an apron too if I wanted (like all the cute ones on etsy!). 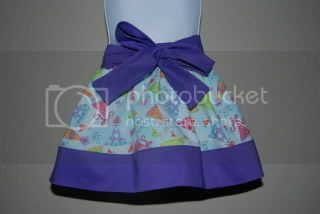 Well last month Dawn of Olabelhe posted her adorable Kristin Skirt & I fell in love with the idea of adding a sash! SOOO yesterday at Wal-mart I came across a 1 yard scrap of Zebra print for 20% off that I have been eying for months. I decided to get it & finally get something done! I made one out of some other fabric I had laying around first just in case, but I have to say this is one of the nicest testers I have ever made! It only took 1 yard of fabric & I think next time I can layout the pieces better (I was being lazy) & get it out of 3/4. It is nearly 1AM so this is all the pics you get for tonight! I will have to try it on Baylie tomorrow & get some modeling pics. 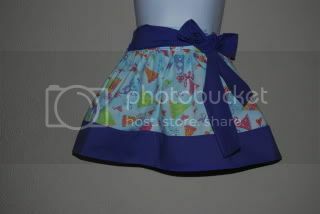 Not only can it be tied in the front, but it can be tied in the back as well which I think is also super cute!